Last night, students, historians and others gathered at the oldest structure on the University of Alabama’s campus for the unveiling of a new kind of historical exhibit. “Space Matters” is an interactive exhibit inside the Gorgas House Museum. 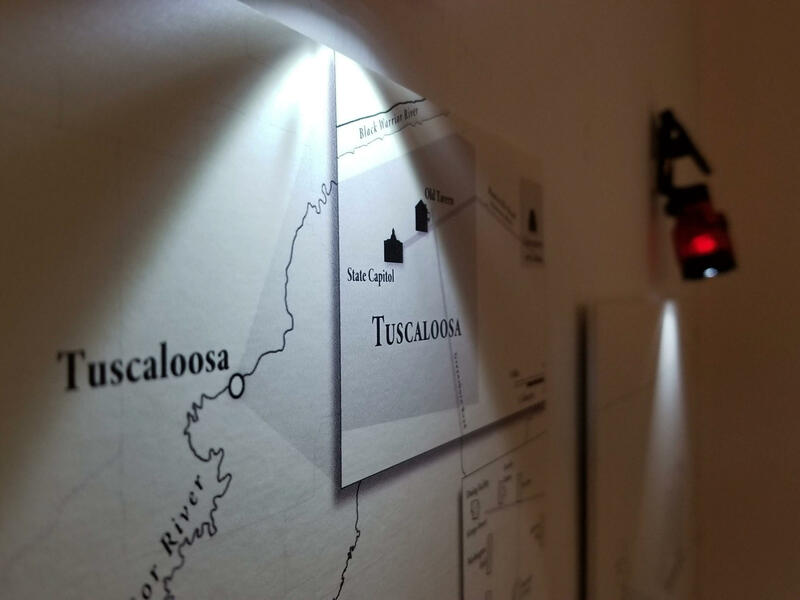 It uses animated maps, videos and music to tell the nuanced stories of three historical figures from Tuscaloosa's history before and during the Civil War. They are Sarah Gayle, the mother of Amelia Gorgas who upends the stereotype of a southern belle; Nathaniel Kenyon, a Union officer who was held captive in a Tuscaloosa prison during the Civil War; and Horace King; a slave architect and engineer who built dozens of bridges in the Southeast including the first from Tuscaloosa to Northport. Dr. Sharony Green curated the exhibit. She says people can learn a lot when considering the history of the space they occupy. Brandon Thompson is the director of the Gorgas House Museum. He wants to see the space utilized more as an active learning environment for University of Alabama students, and says this exhibit is a great start. Thompson says he’s thrilled with the response so far. The exhibit is on display at the Gorgas House Museum from now through June 30. Admission is free for University of Alabama students, faculty/staff, and members of the UA alumni association.